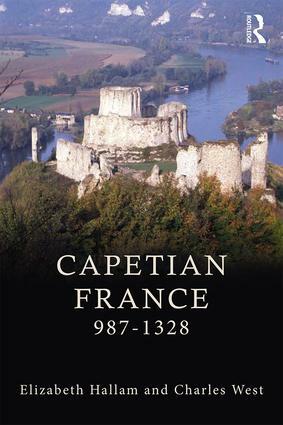 Capetian France 987-1328 is an authoritative overview of the country’s development across four centuries, with a focus on changes to the political, religious, social and cultural climate during this period. When Hugh Capet took the throne of France in 987, his powers were weak and insignificant, but from an inauspicious beginning he founded a dynasty that was to last over 300 years and that came to dominate western Europe. This carefully updated third edition draws extensively on new scholarship that has emerged since the previous edition. It contains images, maps, family trees and a discussion of key sources, allowing the reader to develop a strong contextual knowledge as well as a greater connection with the material world of the period. Maintaining a balance between a compelling narrative and an in-depth examination of central themes of the age, Capetian France 987-1328 provides a comprehensive account of this significant era within France’s history and is essential reading for all students of medieval France and Europe. 1.4.1 987: the beginning of a new era? 2.2.2 The lands of Blois-Champagne. 3.1.1 The early Capetians: mere territorial princes? 4.1.1 The Capetian revival: an inevitable development? 4.4.8 The principalities of the west and south: was there an ‘Angevin empire’? Elizabeth M. Hallam [Smith] holds honorary academic appointments at the University of East Anglia and the University of York. Until 2016 she held the position of Director of Information Services and Librarian at the House of Lords, and she is now a Leverhulme Trust Emeritus Research Fellow, currently working on the Palace of Westminster. Charles West has been teaching and researching at the University of Sheffield since 2008, where he is a Reader in Medieval History. He has published widely on medieval European history and sits on the editorial boards for Early Medieval History and the History Workshop Journal.